Kim Faust (Owner/Director/Teacher/Choreographer) began her studio 42 years ago. She is a graduate of Augustana college with a degree in politcal science and education. She has been a resident of Moline, IL her entire life and started her dance school in this town because she believes in the values of dance and tumbling beyond learning the skills. She loves teaching children, is a coach or competitive tumbling and dance, and has also coached varsity and college level softball. Kim has two sons and two beautiful grandgirls. Her mission for the studio is to teach more than dance and tumbling, but also lessons that will last a lifetime. ​Rachel Brauns (Teacher) is from Belton, Texas. She is currently attending Augustana college, studying secondary Education and History. She is a proud member of The Augustana Dance Company and the Chi Alpha Pi Sorority. Rachel started dance at the age of 3 and trained at Dance Academy in Libertyville as a member of Ballet Theatre of IL. She has also attended summer intensives at both Joffrey Ballet in Chicago and Cincinnati Ballet. Rachel is grateful and excited to be a teacher at KSDT and working with a talented group fo staff and students. She strives to make the world a little more beautiful, one dancer at a time. ​Holly Marzorati (Tumblebears Teacher) teaches Kindergarten during the day. Then more fun begins when she begins to teacher little diaper bottoms to shake and wiggle. She is the mother of three girls, all who have either attended and/or competed here at KSDT. This is a place she loves to come to. She has her dance family here, along with many memories and can't wait to have more! ​Robyn Messerly (Teacher/Choreographer) got the dancer bug at a very young age. She began taking lessons at KSDT at the age of 7 and hasn't been able to stay away since! 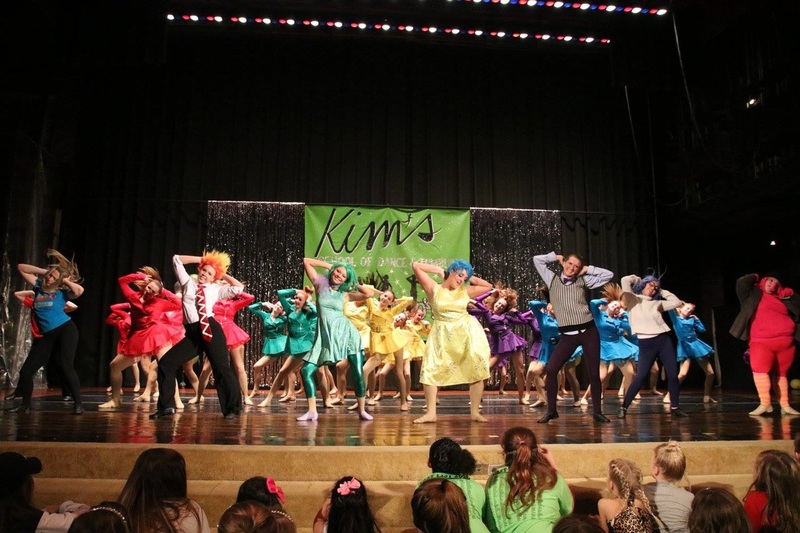 The dance school became a second home for her, and Kim became a second mom. Robyn has a deep passion for enouraging young children and teaching dance and tumbling has provided the perfect outlet for her to drive her love for dance and cultivating postivitity to the youth in the Quad Cities. She is lucky to have her amazing husband Allen and two beautiful daughters, Clara and Grace, by her side. McKensie Fortner (Assistant Teacher) has been a dancer at KSDT for 13 years and is also on the competitive team. She enjoys teaching younger and older kids dance and tumbling, and looks forward to teaching for many more years to come. ​Mike Faust, Becky Kinning, Rhonda Smith.